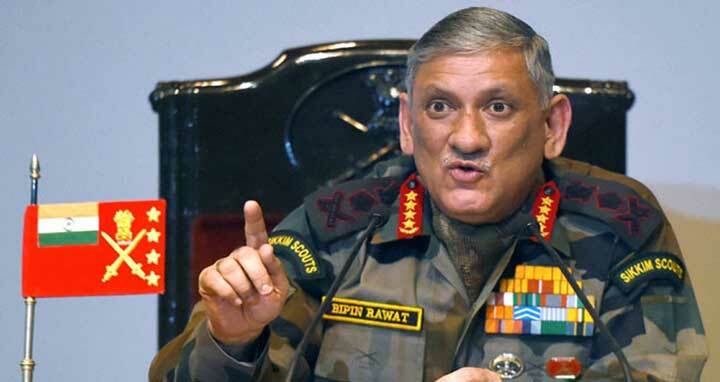 Dhaka, 22 Feb, Abnews: Indian army chief General Bipin Rawat has claimed that a planned ‘influx of people from Bangladesh’ into India’s north-eastern region is underway as part of a ‘proxy war’ being waged by Pakistan with support from China, report Indian media. Pointing at the ‘faster’ growth of the Badruddin Ajmal-led AIUDF (All India United Democratic Front) in Assam, the Indian army chief said an increase in the Muslim population was due to an increased number of immigrants ‘from Bangladesh’. “There’s a party called AIUDF. If you look at it, they’ve grown in a faster time-frame than the Bharatiya Janata Party (BJP) grew over the years,” said General Rawat, while referring to the BJP winning only 2 seats in 1984. He was addressing a conference on bridging gaps and securing borders in the Northeast region of India. “They’ll always try and ensure that this area is taken over, playing the proxy dimension of warfare,” he said.